ERGO Network brings together almost 30 organisations from different European countries. Through its members, ERGO Network is strongly connected to community based organisations, leaders and Roma youth branches. They understand local dynamics and contexts and can create bottom-up pressure on administrations to take positive action to address Roma exclusion. As such, ERGO uniquely bridges the gap between the grassroots level and European level. As a grassroots platform, ERGO’s activities reflect common concerns, priorities, objectives and approaches of its members. Members take part in ERGO campaigns and projects, share information from the ground, stay informed, support each other in their advocacy work, learn from and inspire each other. We are a group of Roma and Non-Roma students and activists who create a space for youngsters to become active in society through empowerment, mobilisation and self-organisation. We advocate for Roma issues, conduct analysis and develop new methods and strategies to tackle the exclusion of Roma people in Albania and Europe. 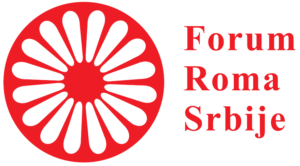 Romano Centro was one of the first Roma-organisations in Austria, founded in 1991 with the overall objective to improve the living conditions of Roma, to foster cultural exchange, fight racism and stereotypes and to promote Roma culture and language. Romano Centro is active in the fields of education, social counselling, anti-racism, youth and intercultural exchange. 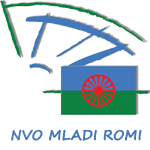 Integro is a network of 10 community-based Roma NGOs in Bulgaria. Our aims are Roma participation in decision-making and shared responsibility as citizens, high quality education for Roma students that provides opportunities for social mobility and leadership; job creation by Roma businessmen who contribute to the local development; Emancipation of Roma women, preservation of family and community and empowerment of Roma to counter antigypsyism. The Mediation Center for Travelers and Roma in Wallonia promotes equal opportunities by supporting Roma families. We provide socio-professional and administrative support to Travelers, search for solutions for the temporary stay of Travelers in Wallonia; inform authorities and services about the realities of Roma and Travelers and organise socio-cultural projects and campaigns to overcome the stereotypes that perpetuate the exclusion of Roma and Travelers. 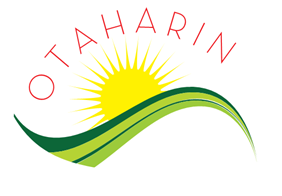 The Association of Citizens for Promotion of Roma Education – OTAHARIN was formed in early 2005 by the parents of Roma students and citizens interested in education of Roma in Bosnia and Herzegovina. Our mission is to increase the level of educational, social and economic integration and inclusion of vulnerable and marginalised groups, through professional, dedicated and innovative work, recognisability and credibility. Slovo21 realizes educational, cultural, media, public awareness and other projects, focusing on Roma and aiming for the integration of immigrants. 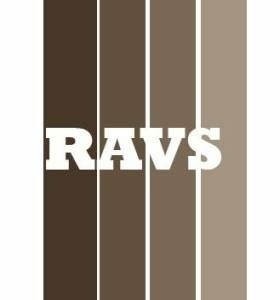 Our aims are to combat racism and xenophobia, to help to protect and respect human rights, to teach tolerance towards ethnic minorities, in particular the Roma minority, to support integration of foreign nationals living in the Czech Republic and to provide media support to minorities in the Czech Republic. Life Together works in the Czech town of Ostrava to strengthen mutual confidence and co-operation between the marginalised Roma and the majority Czechs, and improve the living standards of the Roma. A team of 55 Roma and Czech workers and volunteers offer a range of services from humanitarian aid, free educational programs, and social work to community work to strengthen the position of the Roma in the ghettos vis-a-vis local institutions. 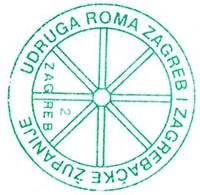 The association is the first Roma organization in Croatia, established in 1993. It carries out projects that enhance the quality of Roma life in the fields of education, housing and employment. In all our activities we try to include both Roma and majority population. We publish the magazine Romano čaćipe (Roma truth) in which we are cherishing Roma culture and language and write about challenges that Roma face in their everyday life. 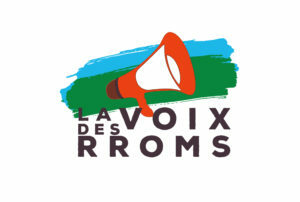 La Voix des Rroms/The voice of the Rroma works towards creating a just, creative and pluriversal* society, based on three core values: pugnacity, baxt (joy), and goodwill. We are a decolonial antiracist organization created in the spring of 2005 by Rromani students from different countries. It is a mixed group with respect to gender, gender identification, class, religion, sexual orientation, and national origins. The board of directors and its membership is made up of a majority of Rroma. It is with pugnacity, goodwill and joy that we intend to contribute to a major change in both French and European societies so that they remain loyal to their promises to protect every individual’s rights regardless of whether they are a child, woman, or man. We have four major axes along which we work: 1) advocacy, 2) fighting discrimination, 3) supporting citizens’ participation among adults and marginalized youths, and 4) we build awareness among the general population about political crimes against humanity (e.g. genocide) and resistance movements of various minorities. *Pluriversal is a French word acknowledging the existence of more than one universe, i.e. the plurality of truths that exist in society. Amaro Drom is an intercultural youth-led organization of Roma and non-Roma that creates space for young people to become active citizens through empowerment, mobilization, self-organization and participation. Recognizing that stigmatization and marginalization constitute the root causes of social exclusion, Amaro Drom creates dialogue and raises the awareness of society, media, schools and authorities about stereotypes, antigypsyism and discrimination. Pro Cserehat (Butterfly Development) aims at developing realistic, regional livelihood alternatives for the members of disadvantaged rural communities – both Roma and non-Roma. Our main programme is the development of community based organic vegetable gardens, the so called Pro Ratatouille gardens, which combine organic gardening with non-formal adult education solve complex social problems. We furthermore undertake policy research and advocacy. Autonomia supports civil initiatives in which people mobilize the available local resources to reach their goals. We partner with Roma and non-Roma civil organizations in our activities with marginalized people. Besides direct development work we organise training and research and facilitate the efficiency of government and European programs targeting the improvement of labour market conditions of Roma and the poor. Pavee Point is committed to the realisation of human rights for Irish Travellers and Roma living in Ireland. The organisation is a partnership of Travellers, Roma and others working together to address the needs of Travellers and Roma who experience exclusion, marginalisation and discrimination. 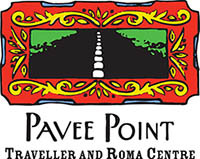 Pavee Point has extensive experience in developing innovative and culturally appropriate responses to the needs of Travellers and Roma based on a community development approach and an intercultural model. Advancing Together aims to create a stable environment for the inclusion of Roma in Kosovo by advocating for human rights and supporting cultural heritage. Advancing Together promotes a multi-ethnic society that is founded on universal rights and equality and where everyone can express their talents, skills and pursue self-accomplishment. It is our vision that the voices of the least fortunate and most vulnerable amongst us are heard and their rights acknowledged. RCC aims to change the view of the Roma community on integration to the society. We support Roma to evaluate their situation and solve social and financial problems; to organise permanent employment and education of children and teenagers, to motivate Roma children, teenagers and their families for education, self-education, self-upbringing, to preserve and foster Roma traditions and prevent the Roma community from assimilation and marginalisation. The Regional Roma Educational Youth Association concentrates on youth empowerment and mobilization through creativity, trainings and campaigns. Our vision for our youth is for them to become promoters of positive values and active agents in social happenings. Our mission is focused on the promotion of opportunities for personal development and integration, as well as promoting active citizenship and self-inclusion in the creation of youth policies of young Roma. The NGO „Young Roma” aims to improve the situation of Roma in Montenegro and their full integration into society. Our vision is that Roma men and women are equal, educated and active citizens of Montenegro. We work with the community and monitoring the implementation of national and local action plans in the field of social inclusion and integration of Roma, by encouraging active participation, advocacy, promotion and mediation in the exercise of minority rights. The association offers individual counseling to Roma families by Roma mediators on access to education, work, health care, housing and antidiscrimination. It is the contact point (since 2004) on addressing antigypsyism and is undertaking advocacy in Roma inclusion and addressing the issue of statelessness. All the work is done voluntarily without an own office and facilities. Only local activities are funded for a limited period. The volunteers are a core group of men, women and youngsters who are active on Roma Rights. We are a think-tank founded in 2008 in Romania. We act towards solving social inclusion issues of Roma and other ethnic minorities and dream about a world where these issues no longer need an answer. We believe in the kindness of people and know that the solution to all our concerns lie in every community’s readiness of embracing this kindness. We are ready and we are prepared to help others get ready through sustainable educational programs that fight prejudice and negative attitudes. 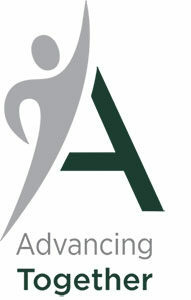 The aim of the association is to reduce economical, social and educational disparities in society. It organises different activities for young people, as they are an important factor of change in our society. Currently the association conducts youth activities locally, regionally nationally and internationally through seminars, trainings and volunteering opportunities. Our activities also include elements of formal education through stategic development to stop school dropouts of Roma youth. The association “Centre of Resources for Social Inclusion CRIS” has been established in 2011 by 5 young educated Roma people who wanted to increase Roma participation in society life in all its forms and to promote social inclusion. The activities of the association address the members of Roma communities belonging to less fortunate social environments, regardless of age, gender or socio-economic status, as well as Roma NGOs and NGOs for Roma. Our main activity is aimed at enhancing community development of the Roma minority through an inclusive approach. This approach is based on mutually active co-operation between minority and majority populations. The most important area is education and the improvement of the social status of disadvantaged groups. We uses research methods through which we acquire relevant data as support tools in public discourse. Kaskosan is a web 2.0 platform aimed at bringing together Roma people from around the globe as well as disseminating information about the culture of the Roma people worldwide. 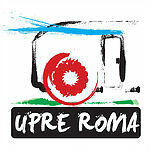 Users may contribute or browse online audio-visual content; participate in competitions; upload their own photos; and virtually, but also physically, meet with other Roma people. 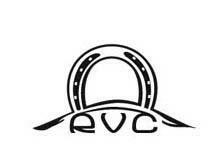 We are a gypsy-led group and believe in capacity- building of Roma, Gypsy and Traveller communities. 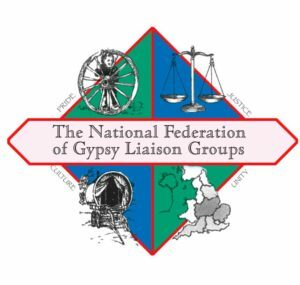 Our aims are to promote social inclusion for the public benefit by working with Gypsy and Traveller groups who are socially excluded and to assist them to integrate into society, in particular by providing a network that encourages and enables members of the Gypsy and Traveller community to participate more effectively with the wider community. Since 2004, the Roma Women Fund CHIRICLI trained more than 20 Roma leaders, helped to establish and coordinate seven NGOs dedicated to Roma and Roma-related issues and helped them to develop programs on health, pre-school education, human rights as well as organize conferences, educational workshops, trainings, press-conferences, round-table discussions, festivals, publications in media etc., to raise Roma issues on national and regional level, to make their work more visible and to change the situation of the Roma communities for better. The organization was the first in Ukraine to raise the question of Roma women.